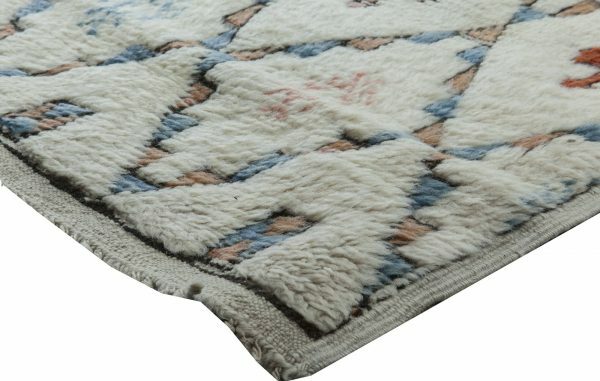 Moroccan rugs are one of the most sough-after decoration items in the world and this vintage beauty fully shows the reason behind this fascination. Its ingenious design combines the exoticism of the Middle-East with the simplicity of the mid-century Modernist trend. 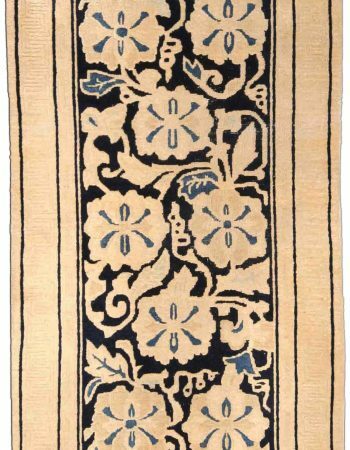 The allover pattern consists of Pitrak and Hac motifs respectively representing burdock plants and crosses which are enclosed into diamonds. 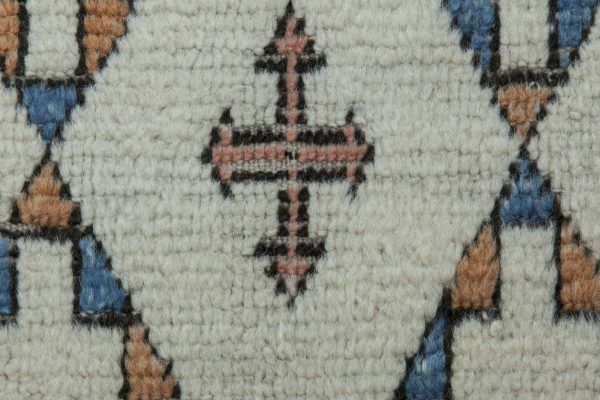 According to nomadic symbolism this arrangement indicates an extremely strong message -the protection against the Evil Eye. 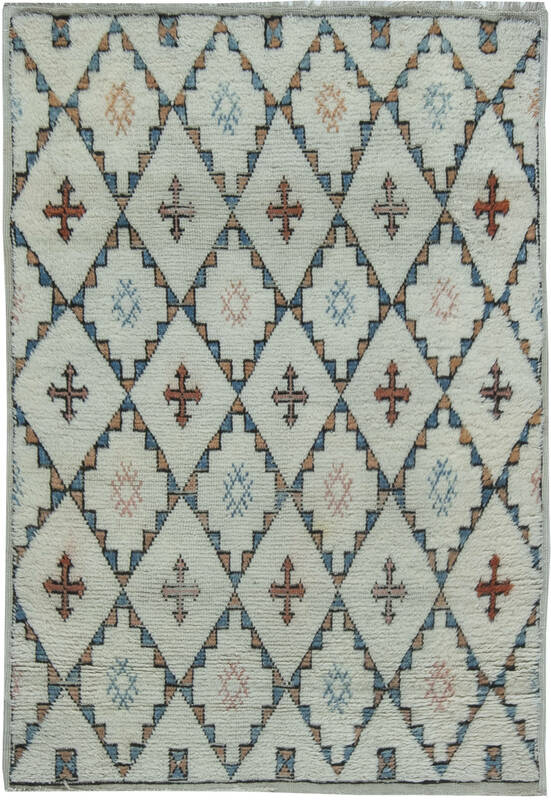 The neutral light beige background constitutes a splendid setting for indigo blue and brick red colors of the pattern. 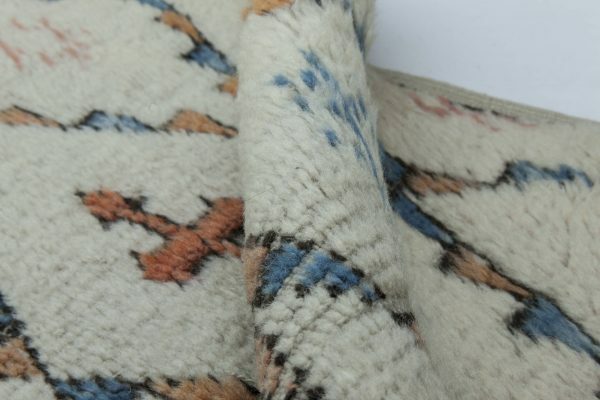 Needless to say the pile of this awe-inspiring piece is masterfully hand-executed of the best quality wool in accordance with traditional weaving techniques. 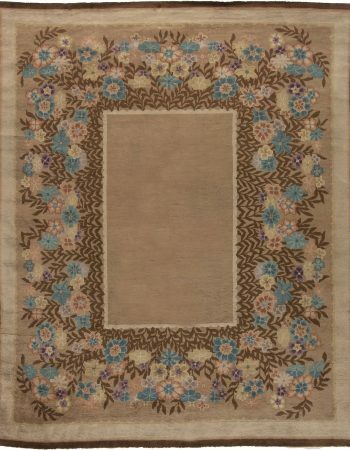 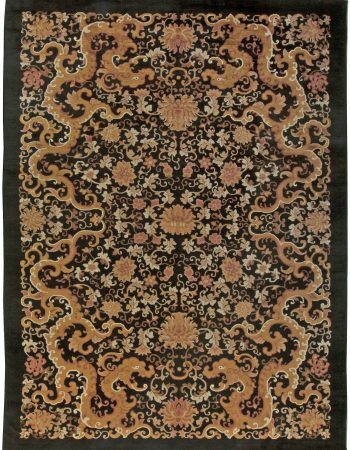 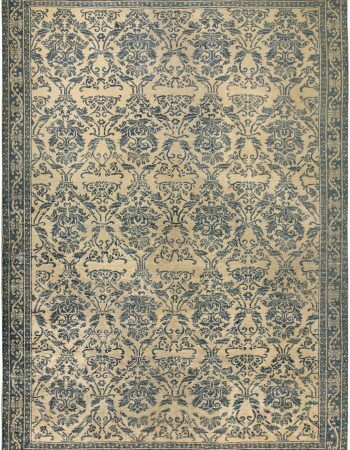 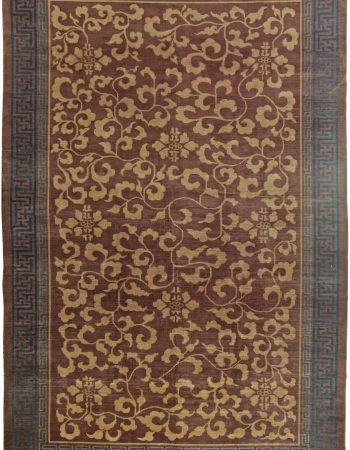 Balanced and intriguing as it is indeed, this vintage rug will be an ideal addition to both classic and modern interiors. 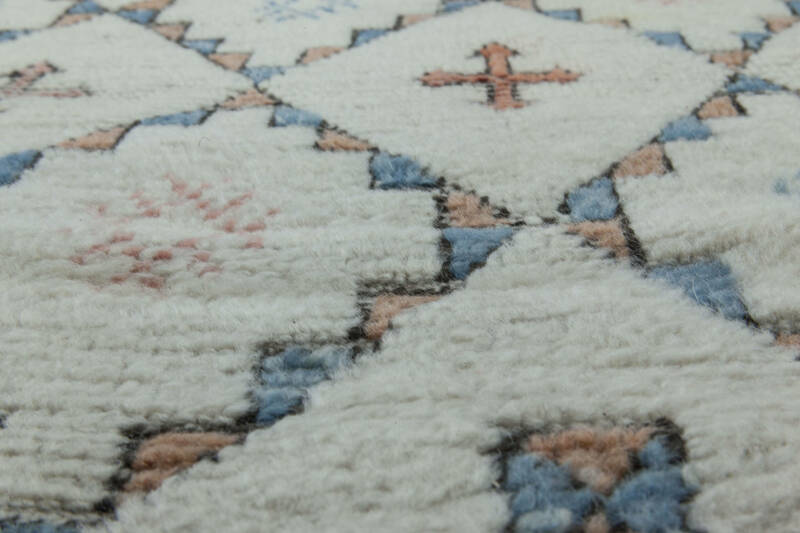 Nothing adds more live and energy to a room than a perfectly matched oriental antique rug and the one before your eyes is a genuine pearl of the weaving craftsmanship.